SC Sen. Tim Scott, an African-American, is the latest to criticize King. "White nationalist, white supremacist, Western civilization -- how did that language become offensive?” King said in the interview with the Times. "Why did I sit in classes teaching me about the merits of our history and our civilization?" 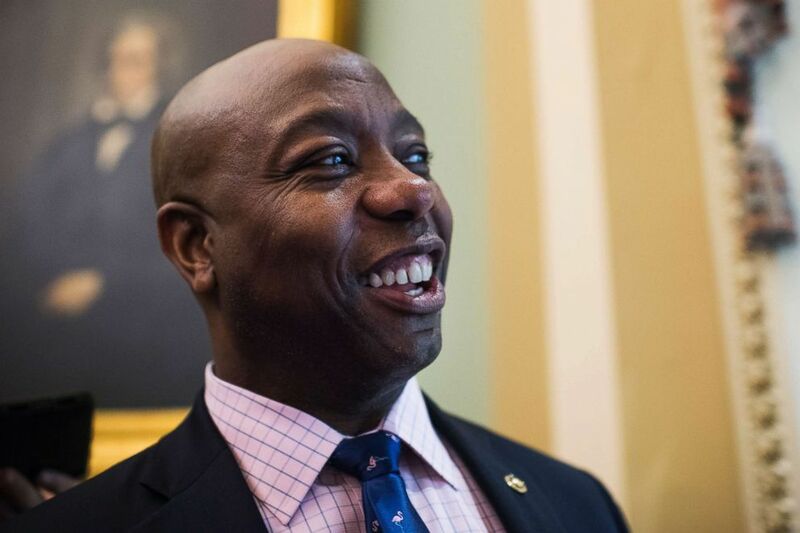 (Tom Williams/CQ-Roll Call,Inc./Getty Images) Sen. Tim Scott talks with reporters as the Senate takes a procedural vote on the spending bill, Dec. 21, 2018, in Washington, D.C.
Scott, from South Carolina, criticized King's comments, in an op-ed in the Washington Post on Friday entitled: "Why are Republicans accused of racism? Because we’re silent on things like this." "Everything about white supremacy and white nationalism goes against who we are as a nation," McCarthy wrote in a statement released Thursday, "Steve’s language is reckless, wrong, and has no place in our society. The Declaration of Independence states that ‘all men are created equal.’ That is a fact. It is self-evident." "Today, Iowa’s 4th District doesn’t have a voice in Washington, because our current representative’s caustic nature has left us without a seat at the table,” Feenstra wrote in a statement Wednesday announcing his candidacy, "We don’t need any more sideshows or distractions, we need to start winning for Iowa’s families." King responded to the news of Feenstra's candidacy by calling it, "misguided political opportunism, fueled by establishment puppeteers," in a statement released Wednesday afternoon.